I was really excited to receive my organic cotton knit from Organic Cotton Plus (here). 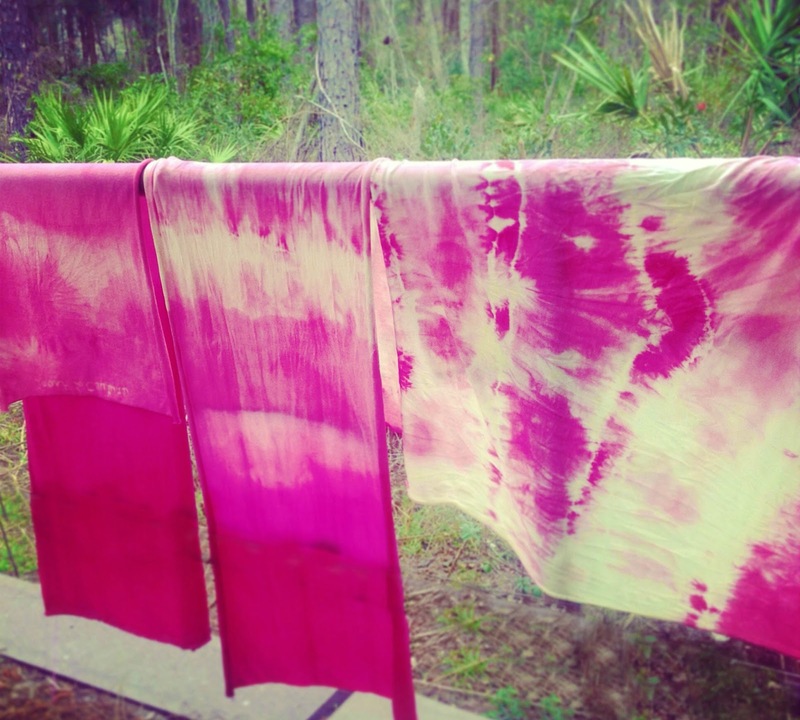 I have been experimenting with hand dying and wanted to see the results with natural fabrics. I was in love with the way the fabric took the dye so quickly and the vibrancy. The fabric had a great feel and is perfect for most apparel items, so I will be back for more. The only dye I use is from Jacquard Products . The options are endless and simple. Twisted parts of the fabric and secured the ends with rubber bands. Mixed my fuchsia dye and dipped the edges in for 20-45 minutes. For this bullseye technique start in the center of the shirt and add sections of rubber bands....Dip in dye and remove rubber bands. Looking forward to seeing what you make with these, can't beat a bit of dip dye! How great did that pink turn out! It would look great mixed with some lace panels in a gypsy inspired blouse...maybe dress. Can't wait to see what you do with it! me encanta, me lo apunto en mis asuntos pendientes para hacerlo en cuanto tenga un minuto. Have tried this once and it came well. But the colours messed up a little bit.